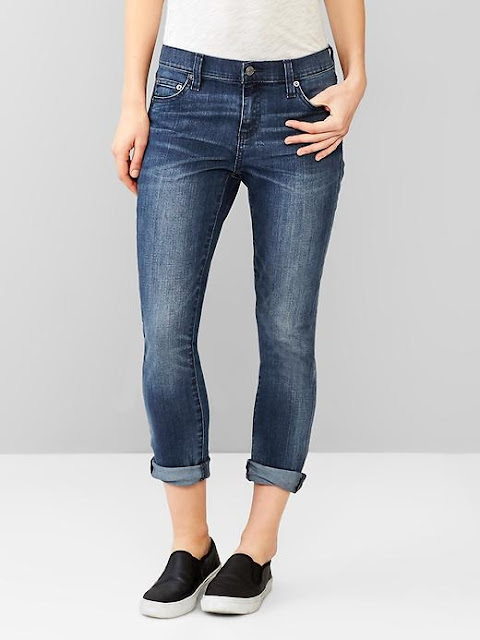 I finally found the perfect "boyfriend jeans", the new Girlfriend jeans from Gap. They fit my apple, inverted triangle shape. I love the stretch and color, and the fact they fit over my belly without the dreaded muffin top. They run big, so size down. …And no that's not me in the photo. I know I've been away for too long. Still not sure if I can continue blogging regularly about fashion. I've been working so hard on my company, the Growth Studio. But we'll see….